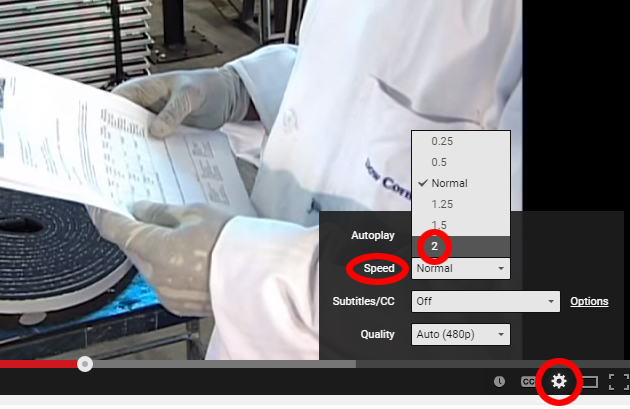 Watch youtube videos at speed 2x | ARE we there yet? When one is tired of reading lengthy study materials, sometimes watching explanatory youtube videos is a good way to take a break, while still getting some studying done. The problem is, while some videos are informative, they are often at a very slow pace, some even more boring than plain text. For vidoes like these, ones that just give you a little bit of visual aid/ big picture rather than specific details, I think this is the way to go. Now you can be twice as efficient! This entry was posted in BDCS, BS, how i study and tagged architect registration exam, ARE 4.0, BDCS, BS, glazing, tips, tricks. Bookmark the permalink.